Polish Ḥasidic rabbi; lived at Ostrog in the middle of the seventeenth century. 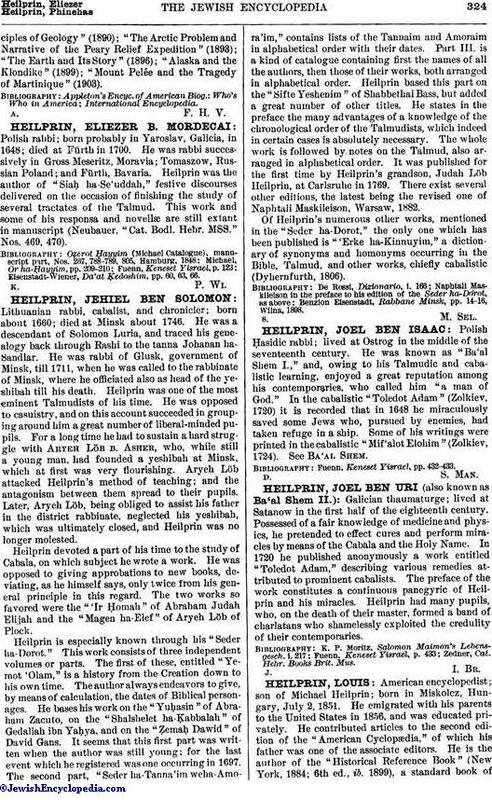 He was known as "Ba'al Shem I.," and, owing to his Talmudic and cabalistic learning, enjoyed a great reputation among his contemporaries, who called him "a man of God." In the cabalistic "Toledot Adam" (Zolkiev, 1720) it is recorded that in 1648 he miraculously saved some Jews who, pursued by enemies, had taken refuge in a ship. Some of his writings were printed in the cabalistic "Mif'alot Elohim" (Zolkiev, 1724). See Ba'al Shem. Fuenn, Keneset Yisrael, pp. 432-433.